Thinking about moving to Spring Condominium? What do I like about Spring? At the time of my private tour it was 100% owner occupied building: 80% being primary residences, 20% were secondary. The HOA is .38 cents a sq. ft, which is one of the lowest for Downtown living. It has guest suites, so you don’t have to worry about where to keep your relatives. Want more fun facts? Only the exterior walls of the units are load bearing. So, if you want to move an interior wall, or take one out – you can. It also has gas cooking. 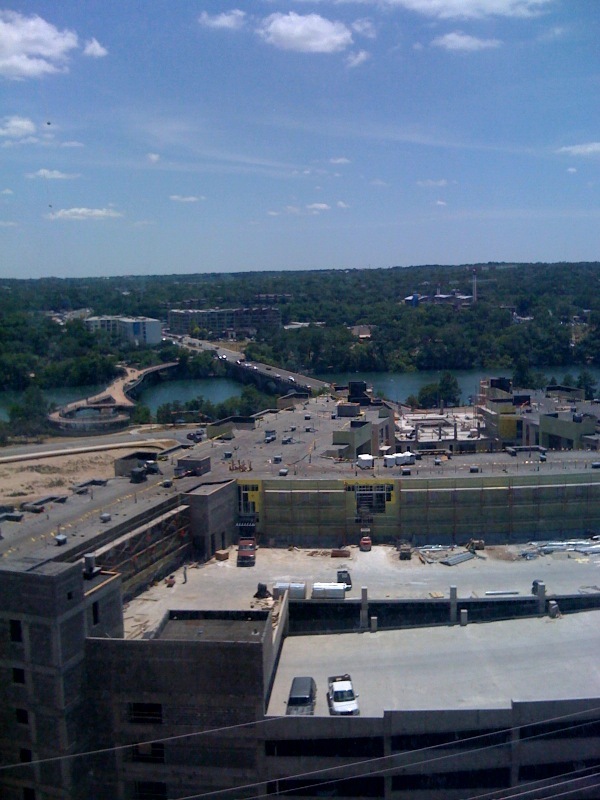 The main thing that separates Spring Condominium from some of the other downtown towers is the view. It is a point tower which allows floor plans to offer multiple views from each unit. Typically, you have to choose a downtown, UT tower or a lake view. Most of these units had 2 or 3 unique views in each unit, so you can have more than one. Where is Spring Condominium located? Spring is located at 300 Bowie Street in downtown, Austin. What amenities does Spring Condominium offer? I can create a custom home search for a more comprehensive list of condos that fit your criteria…..